Golfing holidays on the Cote d’Azur, South of France. 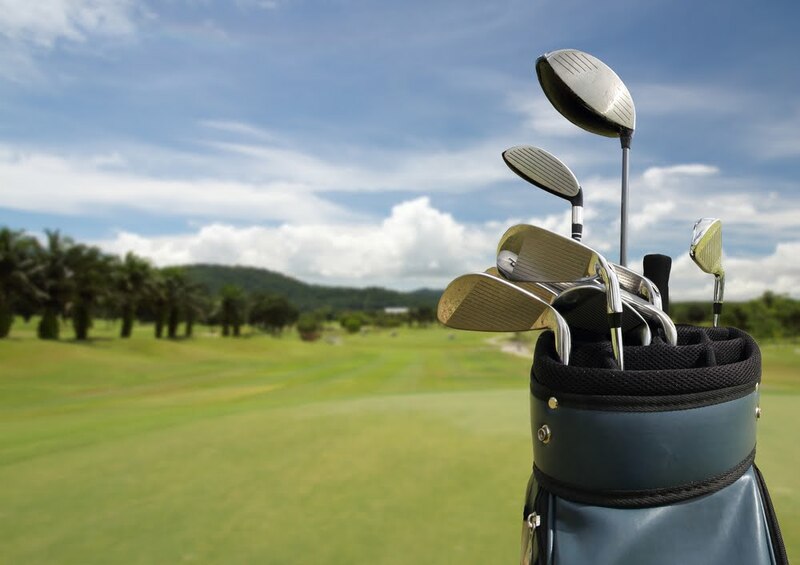 The Cote d’Azur is a great place for a Golfing Holiday, it has the most amazing choice of Golf Courses, You can easily play a different course each day of your holiday! We highly recommend Les-chenes-verts-sleeps-10-AM047 as the perfect place to stay for a golfing holiday in the South of France. 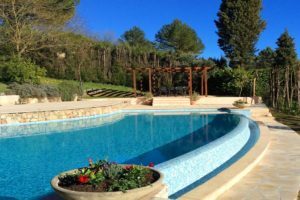 This holiday villa near to Mougins and Cannes has 5 bedrooms, air-conditioning, an infinity pool and the most wonderful views over the South of France. If you only fancy a weekend golfing then this is possible out of season, however why not come and stay for a week or two? Below is a list of golf courses that are all less than a 30 minute drive away from this holiday villa. All the South of France golf courses have a restaurant and bar, driving ranges, buggy and club hire. Golf passes are available which cover 3-5 green fees for a number of courses and prices start from as little as 225 euro. Do make sure that you reserve your tee off time a couple of days in advance. The clubs marked with an * are included on the golf passes. 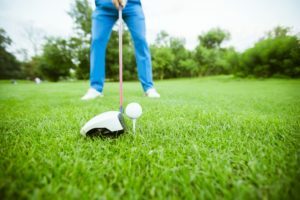 There are plenty of other things to do should you have non-golfers in your party, nearby Cannes has amazing shops, museums, market and restaurants. The South of France beaches are worth a visit, even if you just to sit at a café and people watch! Grasse the perfume capital of France is only 10 minutes away, why not design your own perfume! Said to be one of the best golf courses in the South of France, set amongst rolling hills and a flatter forest area interspersed with 8 lakes and streams. Designed by golf architect Robert von Hagge this is a beautiful and challenging course. It is an unashamedly up-market golf club which is reflected in the green fees of €175 – €200. This championship course designed by Robert Trent Jones Jnr was inaugurated in 1993 and is now fully mature. A tree lined parkland course laid out over undulating terrain, it has a number of water hazards and lots of bunkers! 2015 green fees were €79.50 with reductions for late afternoon or early morning starts. There is also a 9 hole “pitch and putt” course of 800m with a green fee of €23.50. A pretty, gently undulating course with wide fairways, water hazards and well bunkered greens. Very peaceful with a relaxed atmosphere. 2015 green fees were between €40 & €82 depending on time of year and time of day. Recently fully re-furbished, this highly individual course is perched on a mountain plateau above Grasse. A challenging course with some tough greens and a long testing par 5 18th hole. The sleek new club house enjoys lovely views. Green fees from €55 to €75. One of the top golf courses in the region and one which has hosted a number of tournaments on the European tour. A predominantly flat, parkland course – the well maintained tree-lined fairways are quite tight and there are a number of water hazards and well placed bunkers. 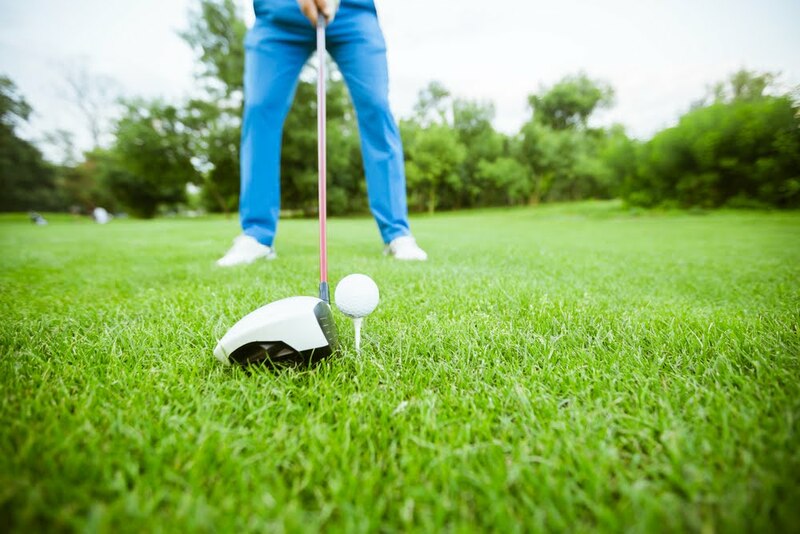 Handicap certificates required with a maximum handicap of 28. 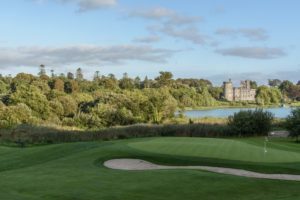 2015 green fees were from €100 – €175. An attractive mostly undulating course with some slightly hillier sections. A recently upgraded club house with a nice restaurant. 2015 green fees were between €42 and €87. A predominantly flat course with wide open fairways. 2015 green fees €60 reduced to €40 for late afternoon starts. This is quite hilly in palces with tree lined tight fairways. 2015 green feed were €38 weekdays and €40 at weekends..
Quite a hilly course with a stream in play on a few holes. 2015 green fees were €38 on weekdays or €40 at weekends and public holidays. Please do not hesitate to contact one of our team for further information on our luxury villas near the South of France golf courses.